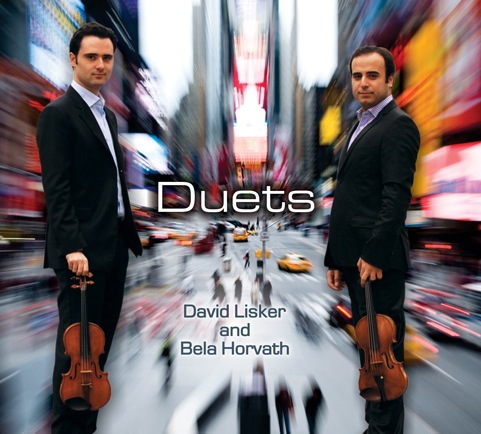 Described as an “exquisite virtuoso violinist” (Chicago Sun-Times) whose “playing possesses a deeply profound musical instinct” (The Classical Network) and a “cultivated artistic taste” (Kulturas Diena, Latvia), David Lisker has appeared as soloist, chamber musician, and orchestral performer in many of today’s most prestigious concert halls including New York’s Carnegie Hall, Avery Fisher Hall, Alice Tully Hall, and Merkin Hall, The Mann Auditorium in Israel, The Orange County Performing Arts Center in California, The National Arts Centre in Ottawa, and The Shanghai Theatre in China. Mr. Lisker has also performed on the live PBS television broadcast of “Live from Lincoln Center”, was featured on Bob Sherman’s “Young Artist Showcase” on WQXR in New York, and was the only violinist ever to appear on David Dubal’s “Piano Matters” on WWFM Radio. Recent highlights include artist-in-residencies at the Bob Cole Conservatory of Music at California State University, the Guadalajara University School of Music in Mexico, the Artissimo Summer Music Festival in Latvia, and the St. Andrew Summer Music Festival in Hungary. Mr. Lisker performed at the Casa De La Musica in Ecuador, the Singer Festival in Warsaw, Poland, at the Manchester Music Festival in Vermont, at the JAAMM Festival in Denver, Colorado, at the Chicago Beethoven Festival live on WFMT, was featured in the Friday Night Live Concert Series at the Detroit Institute of Arts Museum, and gave a performance of the C Major Mozart Viola Quintet at the Metropolitan Museum of Art in New York with Itzhak Perlman. He recently appeared as soloist with the Philharmonic Society Chamber Orchestra in Lima, Peru, the South Coast Symphony Orchestra in California, and the Queretaro Philharmonic Orchestra under Maestro Guadalupe Flores live on XEQUE Mexican radio. Mr. Lisker is also artistic director of his nonprofit organization, the Lisker Music Foundation, which strives to support current and future generations of musicians through its acclaimed concert series, outreach programs, and scholarships. Born in Novosibirsk, Russia, Mr. Lisker immigrated to America with his parents when he was 4 years old and began studying violin at the age of 5 with his father. He continued his studies with Terrine Gomez in Champagne, Illinois, Linda Rose in Los Angeles, and Mark Zinger in Chicago. At 14, he was one of 18 young violinists selected to participate in the renowned summer festival, The Perlman Music Program, which he then attended for 6 consecutive years under a full scholarship. Mr. Lisker also participated in the National Centre’s Young Artists Program in Ottawa for 4 years. Further associations have included Eric Friedman, Vadim Repin, Joseph Kalichstein, Michael Tree, Lawrence Dutton, and Robert Mann. Mr. Lisker received his Bachelor of Music degree from the Manhattan School of Music where he studied with Pinchas Zukerman and Patinka Kopec, and went on to receive his Master of Music degree from the Juilliard School where he studied with Itzhak Perlman.